Mercu Cita Manufacturing Sdn. Bhd. (385755-H) was founded in 1996. The company was established to import high quality products from around the world. 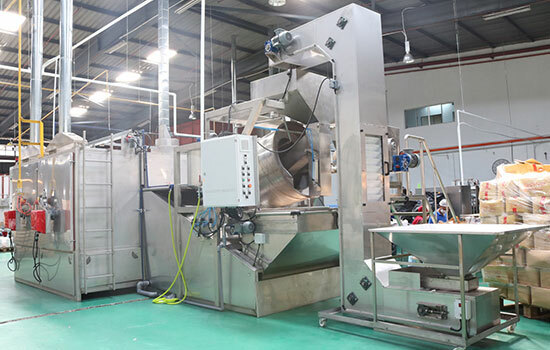 It also specializes in processing and packaging the food products with cutting edge facilities. The products are distributed through retail shops, online sales, wholesale, multinational & local supermarket chains, and export to other countries. The company proudly has more than 1,200 food products in four categories that include Grocery, Health & Beauty, Confectionery, and Beverage. Mercu Cita’s distribution center is equipped with its company trucks for swift distribution to outstation branches, supermarket chains and wholesale customers through out Malaysia. The company also has access to freight transport for export and shipping services for online customers. Our manufacturing services go beyond delivering the highest quality production for our customers. We manufacture these premium products by utilizing the most advanced production technology in conjunction with strict quality control guidelines to deliver clean and premium products. Our production facilities are equipped with advanced packaging machines, state of the art roasting machines, and cold storage units of over 100,000 sq. To continue growing rapidly by expanding our market share not only domestically but also internationally. To make everyone’s life healthier with premium imported products.